Proper Cut-off: Ensuring that the accounting department records fixed asset transactions in the correct accounting period. Completeness: Ensuring that costs associated with fixed assets are properly identified and recorded – ensuring that the organization records and capitalizes installation, shipping, handling, and in some instances financing charges. As explained in part one of this series, organizations may also fail to capitalize capital leases. Existence: Ensuring that the fixed assets recorded in the accounting records are on-site or at an approved location. Employees may misappropriate assets by diverting delivery of assets after purchasing them, or moving fixed assets offsite, without authority to do so. Accuracy: Ensuring that transactions are arithmetically and otherwise correct. For example, ensuring that the accounting department calculates costs and depreciation charges correctly, and accurately adds and cross-adds fixed asset ledgers and supporting schedules. Ownership: Organizations must ensure that they have legal title and rights to all their fixed assets. The overarching approach to satisfying the above is to design and implement internal controls in proper policies and procedures. Start by ensuring that there is an effective approval process for acquiring fixed assets. Ensure that there are internal controls to evaluate prospective fixed asset purchases and that the actual purchase is approved (prepare business cases, obtain quotes etcetera, as outlined in part one of this series). This process will help to reduce certain risks including the purchasing of assets at inflated costs. Additionally, the approval and investigation phase may provide clarity around classification and disclosure – if management or the board approves an item as a capital expenditure, then unless there is good reason to do otherwise, the asset should be capitalised and not expensed. Next, streamline the purchasing and acquisition procedures. In addition to approval of the purchase, implement procedures for providing the accounting department with all documents relevant to recording the asset at the appropriate cost and in the appropriate records, including the fixed asset register. Additionally, ensure that there are procedures for a supervisor, manager or responsible person in the user department to take delivery of the asset and sign-off the purchase order or other documents as evidence that they took delivery of the fixed asset. Review, approval and scrutiny of expenditures promote accuracy. Managers or supervisors must provide the appropriate level of oversight and review. For example, employees should not be permitted to dispose of assets without approval by a manager, who should ensure that the asset is sold at the optimal price or verify that the asset is donated to a charity (for example, by insisting on getting a donation receipt from the charity). Physical security is also an essential part of internal controls. Tag all fixed assets with a unique tracking number. Physically secure assets, particularly high-value or easily moved assets. Physical security procedures may involve restricting after-hours access to the premises, implementing swipe-card access, and using security guards. Insurance transfers some of the risks associated with fixed assets. Buy insurance for high-value or critical assets and ensure that coverage limits and deductibles are appropriate for the organization. Unexpected changes in net results – Any adjustment to reclassify amounts between repairs and maintenance and fixed assets can have a material and unexpected effect on surpluses and can lead to uncomfortable discussions with the board or senior management. Exceeding the capital budget – A reclassification of expenditure from repairs and maintenance to fixed assets improves the bottom line but may cause the organization to exceed the capital budget. This too can lead to uncomfortable discussions with the board or senior management. Misstating tax liabilities – An unexpected tax liability can arise if the organization reclassifies expenditure from repairs and maintenance to fixed assets after the year-end. Ensure that related accounts agree or reflect the same amount where applicable. For example, the depreciation posted to the profit and loss accounts must agree to the total annual depreciation charge in the accumulated depreciation accounts in the balance sheet. Review fixed asset accounts and schedules for over-depreciated assets – identify any asset or asset category where the net book value is less than zero. Reconcile general ledger opening balances for each asset category to the audited financial statements at the very start of the fiscal year, to reduce the risks of future disclosure errors, inaccuracies or reclassifications. Implement the strategies above to improve internal controls over fixed assets. 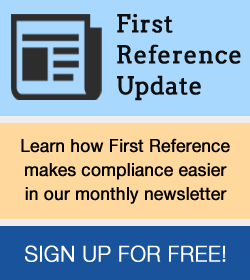 Policies and procedures are essential to managing risk and communicating internal controls, but the work required to create and maintain them can seem daunting. 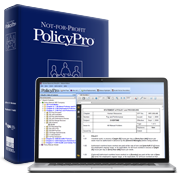 Not-for-Profit PolicyPro (NPPP) contains sample policies, procedures and other documents, plus authoritative commentary in the areas of finance, corporate governance and administration, human resources, and marketing to save you time and effort in establishing and updating internal controls.